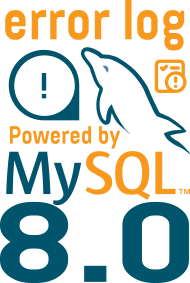 With MySQL 8.0, the error logging subsystem has been redesigned to use the new component architecture. Thanks to this new redesign, now the log events can be filtered, the output can be sent to multiple destinations (different formats like JSON). All that is controlled by system variables. This means that log events will follow the following flow: first pass through log_filter_internal (built-in filter component), then through log_sink_internal (buit-in log writer component). To enable a log component you need to use INSTALL COMPONENT command and set the log_error_services global variable as wished. To disable it use UNINSTALL COMPONENT. To specify a new output format, you need to use a log writer component (sink). So let’s try to use one. Now if I generate an entry, I will have the error in the standard error log file and also in a new json file (having the name of the error log, specified in log_error variable) with a number and the .json extension. More info here in the manual. Let’s have a look at the new entry generated by loading the group_replication plugin in this sandbox instance. The new error log service gives you the possibility to use components to filter the events. The default built-in, log_filter_internal, filters the events only based on their priority, you can specify it using the global variable log_error_verbosity (default is 2). VARIABLE_VALUE: IF prio>=INFORMATION THEN drop. IF EXISTS source_line THEN unset source_line. You can find much more information about the dragnet rule language in the manual. As you can see the new Error Logging Service is much more powerful than prior of MySQL 8.0. It’s again another example of a new feature in 8.0. And for those that want even more or something very specific, don’t forget that now you have also the possibility to modify directly the error logging as you have the possibility to create your own components.